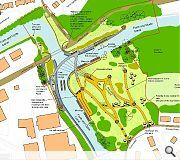 Scottish Canals have formalised plans to introduce a new footbridge at the Stockingfield Junction of the Forth & Clyde Canal to reconnect a section of towpath severed by the construction of the Bowling canal branch back in the 18th century. 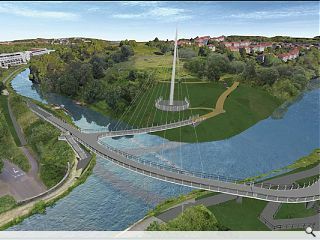 Designed by engineering firm Jacobs to accommodate both pedestrians and cyclists the tri-directional bridge will connect Gilsochhill, Maryhill and Ruchill with a single link, all overlooked by a large pylon observation deck. Along the way, a statement ‘Big Man’ sculpture has been jettisoned in favour of a more practical pylon form, partially raised above the ground to reduce its length. LED projectors will be mounted at strategic points along both banks to bathe the structure in light. 'Structurally efficient' = faceted, non-harmonious geometry. 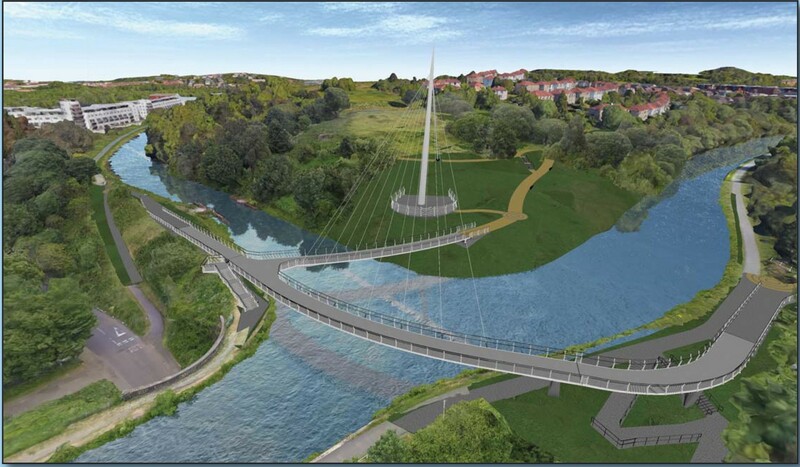 A good project realised with forced, cumbersome design. 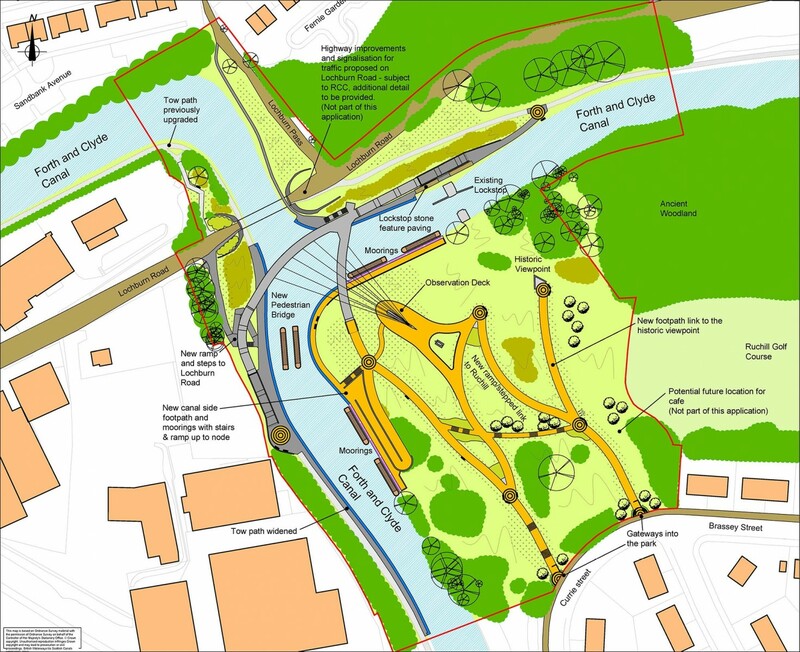 Does the mean the council might take seriously the maintenance and upkeep of Lochburn Road to service it? Littered, potholed and badly lit its in a dire state.